It’s quite common nowadays for words with Chinese origin to be incorporated into our daily English speaking lives − we think nothing of talking about feng shui, doing qi gong, eating tofu or cultivating our yin and yang properties. We need these words to describe things, or concepts, such as losing face, that are lacking in English language and culture. Now there’s one more word to add to the list, if the Chinese government were to have their way that is. 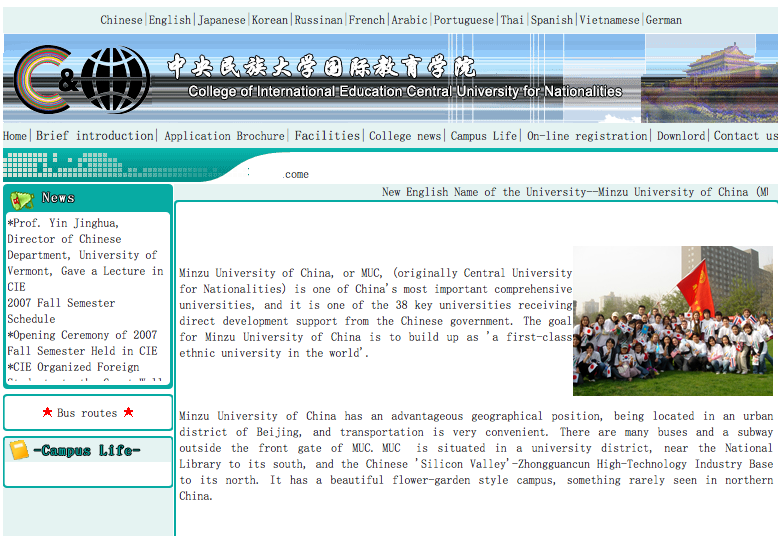 An email that High Peaks Pure Earth received on 10th December 2008 read innocently enough: “Dear Partners and Friends, We take it an honor to inform you that, the English name of our university has been changed from “the Central University of Nationalities” to “Minzu University of China” (MUC) since November 20th, 2008″. English website of the newly re-named Minzu University of China. Note the announcement of the namechange on the page. To non-Chinese speakers, it sounds, frankly, quite horrible. Minzu. MUC, that’s pronounced muck!!! What just happened?! And what on earth is a Minzu? According to British Google, Minzu is a “Chinese buffet restaurant and bar in Birmingham offering superb Chinese cuisine” Splendid! So a little introduction may be required here to enlighten us on this bizarre development. High Peaks Pure Earth readers may be interested to know that this is the university’s third name change since its founding in 1941! What started in October 1941 as the Yan’an Institute of Nationalities, moved to Beijing in 1951 with the birth of the “new China” and in 1993 was re-named the Central University for Nationalities. And now it’s called the Minzu University of China. In Chinese it has only ever had 2 names, 中央民族学院 (Zhongyang Minzu Xueyuan) and 中央民族大学 (Zhongyang Minzu Daxue). Very quickly, Zhongyang means Central, Minzu we will deal with later, Xueyuan means Institute or Academy and Daxue means University. In Tibetan, it has always been known as and Daxue means University. In Tibetan, it has always been known as མི་རིགས་སློབ་གྲྭ་ (mi rigs slob grwa), mi rigs means people and slob grwa means any kind of school. Later, when it became a university, the word ཆེན་པོ་ (Chen mo), meaning big, was added. The Minzu University of China in Beijing describes itself on its website as having “a high-quality, top-level faculty representing many ethnic backgrounds. 70% of its 15,000 full-time students is ethnic minorities. In a sense, CUN is a microcosm of the big family of Chinese ethnic groups, and it is the only university in China where all of China’s 56 ethnic groups are represented in its faculty and student body. The multiple cultures of the 56 ethnic groups harmoniously mix together here.” They also accept foreign students who want to learn Chinese, to be convinced to go and study there, readers can watch this riveting promotional video. The university is also home to 600+ Tibetan students, the largest concentration of Tibetans in China’s capital, who are mostly studying Tibetology. In the past, some of the finest scholars have taught at the MUC such as ་དུང་དཀར་བློ་བཟང་འཕྲིན་ལས་ (Dungkar Lobsang Trinley), ཚེ་བརྟན་ཞབས་དྲུང་ (Tseten Shabdrung), དམུ་དགེ་བསམ་གཏན་ (Muge Samten) and མཁྱན་རབ་འོད་ཟེར (Kyenrab Woeser). Today, two of the best-known Tibetan scholars are ཚེ་རིང་ཐར་་ (Tsering Thar) from Amdo and ཐུབ་བསྟན་ཕུན་ཚོགས་ (Thupten Phuntsog) from Kham, who are both much loved by students. Notable Tibetan alumni include writer and poet དོན་གྲུབ་རྒྱལ་ (Dhondup Gyal) as well as most of the staff of Radio Free Asia and Voice of America in DC! Also some of the foremost Chinese scholars on Tibet such as Yang Enhong and Chen Qingying have studied there. 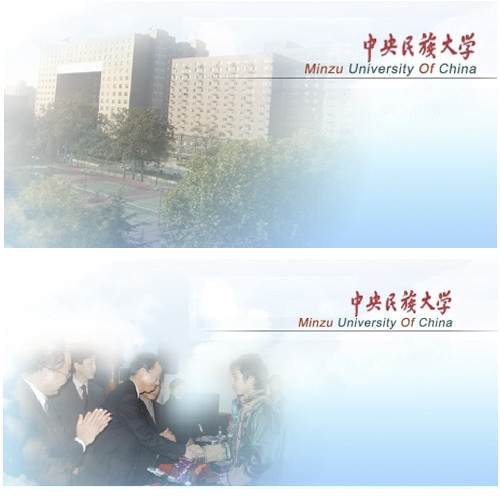 So how come the word Minzu in the university’s name doesn’t get translated anymore? The main universities in Beijing, China’s Ivy League if you will, have names that are translated directly into English, albeit slightly odd varying from the very quaint sounding Peking University for 北京大学 (Beijing Daxue) to the downright absurd-sounding Beijing Normal University for 北京师范大学 (Beijing Shifan Daxue). The others are mostly bog-standard names such as University of Science and Technology Beijing, Beijing Foreign Studies University or China Central Academy of Fine Arts. Although no official reason has been given for the recent name change − it stands to reason that it’s due to this rather troublesome and seemingly untranslatable Chinese word Minzu. Their solution in the end seems to be a stern resolve not to translate it at all and thus avoid all the problems this word causes. How is the word Minzu problematic? Firstly, one look at the dictionary tells us that Minzu means Nationality. Doesn’t appear that hard to translate actually. But for the Chinese government, their own unique concept of “nationality” has been very difficult to communicate to the wider world. The historical background behind Minzu, as it’s used today in China, starts in the 1950s with the Minzu Shibie − a survey carried out by the central government to determine the various ethnic groups in China. That was the starting point for today’s one big happy family of the Han Chinese and the 55 minzu groups which were all identified and formalized as a result of that survey. The minzu groups are also referred to as 少数民族 (shaoshu minzu), which translates as ethnic minority. The word minority already has enough politically incorrect connotations in English so the Chinese government has been wise to stay away from that word in recent years. They probably thought that the word nationality was less controversial but they miscalculated grossly. Outside of China, very few people understand the Chinese concept of nationality − it’s a word associated with nation, nationhood and nationalism. Mostly it’s associated with passports. Not so in China. For a Tibetan born in Lhasa, their nationality is Tibetan but they are Chinese. For an Uyghur born in Urumqi their nationality is Uyghur but they are Chinese. For a Mongolian born in Hohhot, their nationality is Mongolian but they are Chinese. This nationality word is indeed confusing. Confusing and on top of that, politically loaded. For the Han Chinese − and let’s not forget that they account for 92% of the population, the government actively fans the flames of their nationalism in a twisted, negative way usually aimed at outside forces. Think of the crazy scenes in 1999 after the Chinese embassy in Belgrade was mistakenly bombed by NATO, think of the anti-French scenes last year in China, poor Carrefour supermarket! Even crazier maybe the whole textbook debacle with Japan a few years back. And in a country with no concept of dual citizenship, woe betide any celebrity who changes their nationality, step forward top enemies of the state Jet Li (now American), Gong Li (now Singaporean) and a kind of in-betweener Beijing born Zhang Ziyi (holds a Hong Kong residency card). However, for the nationalities of the People’s Republic of China, nationalism is a strictly no go area. 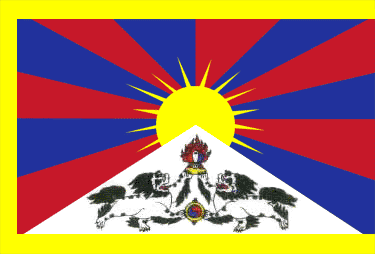 In 2008, the Chinese government simultaneously dealt with cracking down on Tibetan expressions of nationalistic feelings − suddenly even Han Chinese people knew what the Tibetan national flag looked like (even though state media calling it the “snow lion flag” was lame) whilst having the Olympics reinforce their own sense of national identity and pride. So if the Han Chinese are allowed to assert their own feelings of nationalism then why not the nationalities? If only the answer to this question were as simple as thrusting the word Minzu onto the unsuspecting rest of world. China is no stranger to forcing new words into languages for political purposes. A prime example is in Tibetan due to the fact that Tibetan has one word for Tibet, བོད་ (Bod), one word for China ་རྒྱ་ནག་ (Gyanak) and no word that means a China that includes Tibetan territory. So the Chinese government officially uses the word ཀྲུང་གོ་ (krung go) which is simply a Tibetan transliteration of the Chinese word for China 中国 (Zhong guo). So whereas this concept didn’t exist before, it exists now. Interestingly, Tibetan bloggers who blog in Chinese are refusing to use the Chinese word for Tibet 西藏 (Xizang) as Xizang only refers to the Tibet Autonomous Region. Bloggers are using the word 图博 (Tubo) or sometimes simply the Chinese character 博 (bo), which sounds like the Tibetan word Bod. Bloggers are also snubbing the Chinese way of saying Tibetan 藏族 (zang zu) as the Chinese words are implicitly talking about an ethnic group (the word zu 族, the same zu as in 民族 minzu) and are using the characters 博巴 (Bo ba) which is Tibetan for a Tibetan person. Sometimes there are words or concepts that simply have to be expressed in the original language, think “shoah”, “apartheid” or “Satyagraha”. However, Minzu does not have the weight of those concepts – it is simply a word that transports the Chinese government’s entire ideology and concept of their multi-ethnic happy family, in the way that they see and present it at least. The changing of a university name may not seem like the end of the world but it is a calculated move to gain acceptance and legitimacy superficially on a linguistic level at first but that’s how it starts. So what other changes could we expect in the near future in Beijing? We already have the Minzu Hotel but the Cultural Palace of the Minorities next door could turn into the Minzu Cultural Palace. The Nationalities Park might be re-named Minzu Park and so on. Be prepared to go Minzu on your next trip to China, you have been warned! Very cool and interesting post! Thnx for it! This is a great piece, but I think it still doesn’t explain clearly to those not already informed that the minzu word was invented in the late 19th century and taken from the Japanese by rabid anti-Manchu nationalists to use in their campaigning against those treacherous “non-Chinese” Manchu rulers – but then later became a key term for the CCP to explain why it has the right to rule people who are not Chinese. Why? Because they argued that China is a nation or a state that includes several nationalities, not just Chinese people. Hence they call it a multinational state They had to argue this in order to help explain why Tibetans and Uighurs belong to China. By chance the official English translation for “minzu” was chosen to be “nationality” probably some time in the 1940s or so by Party officials and like all Party dogma this was rigidified and fixed by internal orders governing such things. Unfortunately for the Chinese, this term has other connotations in English which had not been intended – including the idea of a people that has or might have a country of their own. This seems only to have become apparent to Chinese leaders in about 1994, so the following year they issued orders that all official translations in English (or cognate languages) of the term “minzu” must no longer use the word “nationalities” but instead must use the word “ethnic”. Thus the State Nationalities Commission has become the State Ethnic Afffairs Commission. This is useful for China, because as some western scholars had helpfully explained in the early 1990s, western countries have lots of ethnic groups and ethnic tensions, but they rarely if ever imply that such a group has a history of having an independent state. Lots of obliging western scholars, writers, businesspeople and other faddists generously now use the term “ethnic” to save embarrassment to China about its rather complex historical claims, just as if they too were receiving Party orders about how to say things in English. So now China is starting to refer to itself as a “multiethnic state” for the first time.Bulag has written about all this in much greater depth, and has noted that the concept of what a nationality is changes significantly, not just the name that the Chinese give it. This is all connected to the controversy created by Fei Xiaotong’s proposal of a “zhonghua minzu” or Chinese super-ethnicity which includes all the sub-groups. There’s a new movement starting to refer to China as multi-cultural, too. So I think now minzu has become a portmanteau word which includes all this history, most of it forgotten by the Chinese but remembered by the other nationalities, plus all the things which Chinese officials like about this issue, such as their nationalities policy, their cultural tolerance, their inclusiveness of diversity, their richness of cultural tapestry, and so on. Exactly the same effort has been going on since at least the early 1980s to try to get foreigners to refer to Chinese people – meaning those who are ethnic Chinese rather than those who are Chinese citizens – as Han Chinese. This is again because the latter term implies that not all Chinese are ethnic Chinese (which is true), so that you can have “Tibetan Chinese” or “Mongol Chinese”. So Chinese officials can get extremely upset with foreigners who say “Chinese” instead of “Han”, as though the English word “Chinese” has not been used for centuries to mean people who are of Chinese ethnicity.